Do Active Oracle Database Background Processes Have A SQL_ID? Do Oracle Database BACKGROUND processes play a part in a blank, empty or null SQL_ID saga? If so, it would help us separate foreground (application) activity from the Oracle background process activity. This would help us more quickly zero in on solid performance improving solutions! In a nutshell, reduce distractions. In this post I reference an entire day of ASH/AWR data from a large production Oracle Database system. I also purposely used my free BloodHound Toolkit and ordered script execution so you can do the same thing I do! What I learned was fascinating and helped me clarify why so many active sessions do NOT have a SQL_ID. Whenever I see a log file sync wait event, while I don't expect to see a SQL_ID and definitely not the DML SQL_ID(s), I do know that a commit is taking place. PLSQL anonymous blocks do NOT have a blank sql_id, that is, they always have a SQL_ID. Procedures do NOT have a blank sql_id when wrapped by plsql. But the procedure itself, as shown in a library cache dump, does not have a SQL_ID. First, let's look at the SQL_IDs for all the CPU consuming active Oracle sessions. Using my BloodHound toolkit, here is how to do this. There were 54284 ON CPU samples available and used for this analysis. Only sessions with % ON CPU >= 0% of sample ON CPU are displayed. This tells me that of the 54284 active "ON CPU" sessions, 11.42%, that is 6199 sessions, have a blank SQL_ID. Now I want to split the "ON CPU" sessions into two categories: background and foreground processes. There were 4505 ON CPU samples available and used for this analysis. Let's shift our focus to the CPU consuming foreground processes. There were 49779 ON CPU samples available and used for this analysis. So, of the 49779 active "ON CPU" FOREGROUND process sessions, only 3.47%, that is 1727 sessions, have a blank SQL_ID. Therefore, most of the active CPU consuming foreground processes have an associated SQL_ID. The first report above is about ALL Oracle CPU consuming process. 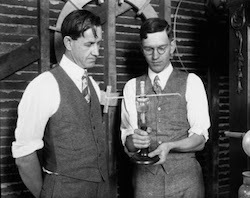 The second and third report show the breakdown of these processes into two categories; background and foreground process. I had better check to see if the numbers match. Otherwise, there could be a problem with my query based on dba_hist_active_sess_history. most of active CPU consuming sessions with a blank SQL_ID were background processes! 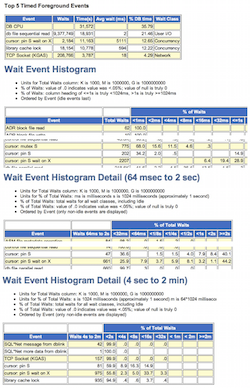 Now let's look at the SQL_IDs for all the waiting active Oracle sessions. Using my BloodHound toolkit, here is how to do this. There were 33094 WAITING samples available and used for this analysis. Only sessions with % wait >= 0% of sample waits are displayed. This tells me that of the 33094 WAITING active Oracle sessions, 11.52%, that is 3812 sessions, had a blank SQL_ID. In other words, around 90% of Oracle sessions waiting on a non-idle event had an associated SQL_ID. There were 2850 WAITING samples available and used for this analysis. Let's shift our focus to the actively waiting FOREGROUND processes. There were 30244 WAITING samples available and used for this analysis. Not nearly as exciting as the waiting active background processes! The above report show that of the 30244 WAITING active foreground sessions, 3.35%, that is 1013 sessions have a blank SQL_ID. Basically, most of the waiting active Oracle foreground processes have a SQL_ID. That's good news for us, because the foreground processes primarily run our application SQL and we want to be able to identify the problem application SQL! 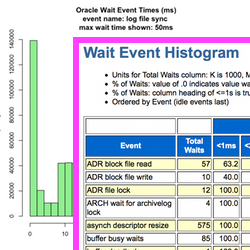 The first waiting report above is about ALL the active Oracle processes waiting on a non-idle event. The second and third reports show the foreground process breakdown by session type: foreground or background. It's always a good idea to check that the numbers add up. This is one way I check to ensure my reporting SQL is working as expected. When I started this "blank SQL_ID" quest, I noticed 100% of my log file sync waiting Oracle sessions had no SQL_ID. Now let's look if those sessions are either foreground or background processes. Here how to find out. There were 938 WAITING samples available and used for this analysis. Very clear indeed! The above report shows that 100% of the waiting log file sync sessions (938 sessions) with a blank SQL_ID were foreground process. I would definitely not expect that, especially in more DML intensive workload. But on this large production Oracle system over this 24 hour period, that's the way it was. 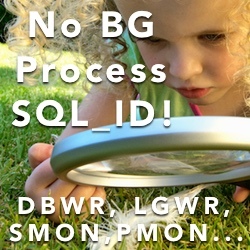 Why No Background Process SQL_ID? First of all, a background process can definately have an associated SQL_ID. Using the same data I've been using in this article, you can see the SMON background process does have non-blank SQL_IDs. There were 30 ON CPU samples available and used for this analysis. Based solely on the above report, it's pretty obvious (56.67% obvious) that SMON may or not have an associated SQL_ID when consuming CPU. But why would a background process NOT have a SQL_ID? A background process can make calls directly to Oracle kernel functions. A direct kernel function call does not require a SQL statement. But, a kernel function call will require some CPU and perhaps even some wait time. I think it's interesting to know that Oracle Corporation determines when an Oracle process is active and non-active. Plus ASH by default does not record Oracle process activity unless it is deemed worthy to report. For example, when a session is waiting on an idle wait, normally the activity is not recorded by ASH. It makes sense, when you think about it. Just imagine all the worthless ASH rows that would be recorded along with all the associated CPU cycles consumed and disk space required. Setting the Oracle instance parameter, _ash_sample_all to TRUE should cause Oracle to record both foreground and background session activity, including when a session is waiting on an idle wait event. I'm not recommending this, simply making you aware it can be done. Finally, I have not personally tested this parameter. 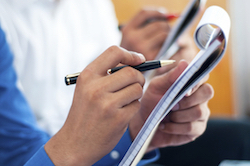 This post has lots of good information in it, but it's scattered throughout the post. Let me summarize it for you. In English. When I saw a blank SQL_ID, while it can be associated with either a foreground or background process, it was very likely (72%) to be a background process. When a foreground process was committing and waiting on a log file sync event, its SQL_ID was always blank. Caution: My Data. Not Yours. Remember, my above summarizations are a reflection of my data only. That is, a single day on an large production OLTP focused system. If you do what I did above, which I hope you do, your results may vary. Be very careful about taking my results and saying something like, "Log file sync waiting sessions will ALWAYS have a blank SQL_ID!" But don't unnecessarily put yourself in a corner. I hope you really enjoyed this article and got a lot out of it. For me, it really makes all this empty SQL_ID work worth it.